CMT has announced the nominations and hosts for the 2018 CMT Music Awards, premiering on Wednesday, June 6th at 8 pm ET/PT. In celebration of blended-genre collaborations dominating all formats, this year’s nominations feature the most eclectic and diverse list to date, spanning the worlds of pop, hip-hop, Americana and R&B. Each winner is selected by the fans with voting open now at CMT.com. Little Big Town, nominated for three awards this year, is set to host their first-ever awards show when the 2018 CMT Music Awards premieres live from Nashville next month. With multiple CMT Music Awards wins and performances under their belts, the chart-topping and record-breaking group are no strangers to dominating the loudest night in country music. Country superstar Carrie Underwood, who holds the title of most CMT Music Awards wins with 17, looks to add to her trophy case and defend her crown against superstars Florida Georgia Line and Jason Aldean, who are tied with Underwood for the most nominations with four each. 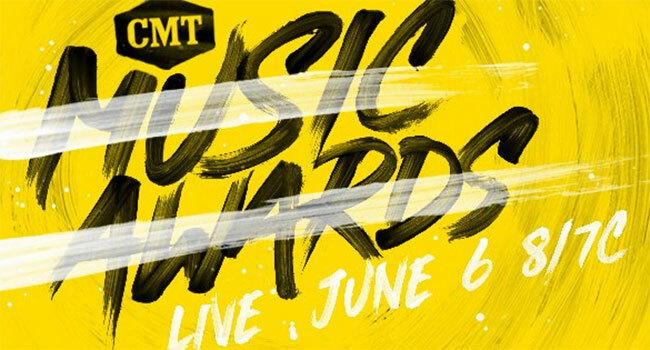 Other artists with multiple nominations include 2018 CMT Music Awards hosts Little Big Town (3), Chris Stapleton (3), Lauren Alaina (3), Thomas Rhett (3), Bebe Rexha (2), Blake Shelton (2), Brothers Osborne (2), Carly Pearce (2), Dan + Shay (2), Danielle Bradbery (2), Justin Timberlake (2), Kane Brown (2), Keith Urban (2), Kelsea Ballerini (2), Lady Antebellum (2), LANco (2), Ludacris (2) and Maren Morris (2). As a longtime advocate and supporter of the emerging artist community, each of this year’s nominees for “Breakthrough Video of the Year” (Carly Pearce, Danielle Bradbery, Devin Dawson, LANco, Russell Dickerson, Walker Hayes) have been featured across CMT’s multiple platforms and screens as part of its “CMT Listen Up” campaign and/or highly-lauded CMT Next Women of Country franchise. Fan voting is underway at CMT.com and continues until 12:01 am ET on Monday, June 4th. The nominations follow renewed ratings growth and critical acclaim for CMT music specials and events due in part to a creative refresh featuring current and genre-bending artist pairings and pro-social elements. In October, CMT Artists of the Year notched its highest rating to date and now ranks as one of the fastest growing award shows, while CMT Crossroads recently garnered its highest ratings in five years with an episode featuring Backstreet Boys and Florida Georgia Line. The network recently finished its highest-rated quarter since 2014 and notched its fifth consecutive quarter of year-over-year ratings growth. April 2018 was CMT’s best April performance in four years, extending to 17 the channel’s streak of consecutive months of year-over-year ratings growth among Adults 18-49 and Women 18-49 (L+SD, CMT Total Day).